I’ve been writing a bit about early internet and web history based on the Internet Course I am embroiled in currently. Some of the early deomgraphics of the web are really interesting to me, and I imagine are somewhat surprising to the students. The early web was a relatively young, male-dominated, and North American phenomemon. 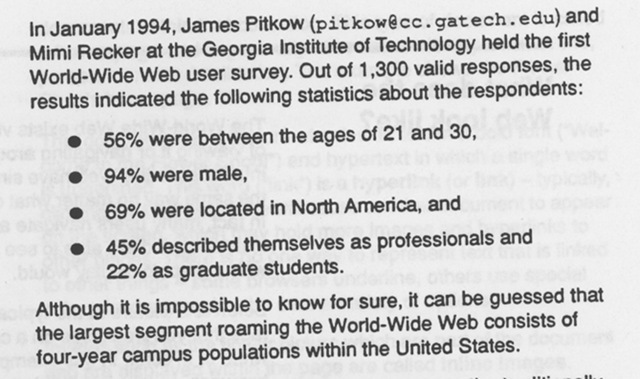 Additionally, according to Hughes, the survey suggests the “largest segment roaming the World-Wide Web consists of four-year campus populations within the United States.” The early web was composed of people just like Alan Levine, even back then 🙂 More seriosuly, four-year campuses were the epicenter of early web culture which is a powerful and compelling narrative of higher ed as a laboratory for the future—even if it’s humble beginning were demographically skewed. 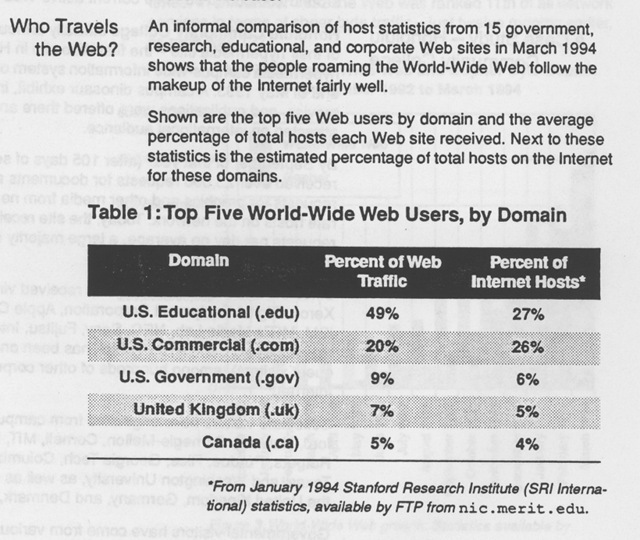 Once again, a vast majority of the web traffic, and the largest percentage of “internet hosts” (computers connected to the network) were located at educational institutions. It may be hard for those who didn’t live through this history to imagine it, but at a moment in time universities were actually relevant when it came to the web. Hell, they weren’t only relevant, they built out the entire internet infrastructure it emerged from. Oh, how far we have fallen! Just two decades later the LMS, not the web, has become where universities do most of their web-related work with students. University websites are little more than glorified admissions brochures. In a depressing twist of fate, higher ed has outsourced the most astounding innovation in communications history that was born on its campuses. Through a process that started in earnest during the late 1990s—roughly at the same time the dot.com market boom—universities moved to a market-driven corproate IT logic. Digital communications were understood as services, and the open web got lumped with email, intranets, and the LMS as a business application. Somewhere during this time the internet was confused with efficiency and the web was mistaken for an interactive fact sheet. That reality has pretty much continued unabated since. Web 2.0 was often integrated into the campus brand, but broad, culture-shifting experimentation along these lines can be counted on one hand. IT organizations have dictated what’s possible, often defaulting to closed and “no” when it comes to anything but enterprise. Ironically, they’ve been more than happy to outsource their own bread and butter (email, document storage, web space, the LMS, etc.) in hopes of the cloud making their own work redundant. Where is the innovation happening right now when it comes to IT in higher ed? This is an honest question because I can’t see it. Back to history, as the internet transitioned from a NSF-sponsored backbone to a commercial-friendly environment in the late-1980s and early 90s, the ground was prepared for the web to become an increasingly corporate dominated venture. In some ways this all made sense, the popularity of the world wide web and the resulting demographic explosion from the mid-90s through the early 00s—thanks to relatively cheap and easy access— brought millions and millions of households online. What doesn’t make sense is how the education sector essentially denatured itself from the innovation it had cultivated for almost three decades. It’s hard to believe, given where we are now, that universities were behind a majority of the major networking protocols established from the early 1970s through the early 90s (such as Telnet, FTP, TCP/IP, Gopher, etc. ), as well as a majority of the early social networks such as Bitnet and Usenet. MOOCs, as Siemens and Downes imagined them, are one of the few sources of true innovation you can point to in educational technology in recent history, and it was born from a higher ed/government relationship. Yet, within a couple of years the MOOC movement had become increasingly denatured and over-run by corporate boosterism that was redirecting the logic of experimentation and possibility to a rhetoric of how broken higher education is, and how Silicon Valley (poaching superstar faculty from Stanford with the allure of millions of dollars) has come to its rescue. What was remarkable to me as I watched the MOOC experiment transform into a corproate takeover was how quickly and completely the alien pods took over the experimentation before it could breath. before it could even develop it was already a fully formed disruptive solution to a moribund instituion. Innovation lost. As a case study, MOOCs provide an excellent example of how quickly innovation happening at universities is co-opted and re-branded by venture capital-funded startups. The craziest part of it all is that University adminsitrators and IT professionals have no idea where the innovation started. It’s akin to Mike Caulfield’s recent documentation of the amnesia universities suffer when it comes to their own history with online learning. Elite universities all over the world have been buying back the innovation from Coursera that their very ideals and missions were established to make possible with the mindset of, “hey, it might get big, let’s get in on the bottom floor.” It was as if edtech shops and central IT at all these universities were approaching MOOCs (as fashioned by Coursera and their ilk) as if it were a Google IPO, “who knows, it could break big.” Or it could break bad, and they’ll look like a bunch of jackasses for not doing the job educational institutions were meant to: bring in smart people to experiment with what’s possible. Stop outsourcing innovation, it has gotten us no where in the end. This entry was posted in Instructional Technology, The Internet Course and tagged edtech, innovation, instructional technology, IT, MOOCs, tic104. Bookmark the permalink. Absolutely. I got onto the internet in 1987, the semester I started a as a biology undergrad. I had to get a prof to sign a piece of paper saying that I was worthy of being granted access. I fooled him into signing it anyway. And everything – EVERYTHING – on the internet back the was on higher education servers, with a few governmental ones, and a handful of corporate. The internet, from my n00b undergrad perspective, was owned by SUNY, CUNY, Stanford, and UCalgary. (UCalgry, because that was how I got online via AIX terminals, and accessed the command-line tools to get to the others. SUNY and CUNY were the big Gopher servers back in the day, full of awesomeness). Over the years, it got more crowded, and then the web hit and the shift to corporate holdings began. I think we can push innovation from higher education again, by not caring about venture capital and the other nonsense that completely derailed the sense purposeful design and collaboration. It’s largely lip service now. Web 3.0 is all about collaboration! No. It isn’t. It’s about tricking users into creating accounts on your servers so you ca sell the company to yahoo/Facebook/google and cash out. Real collaboration is building the tools and platforms together, not just posting our animated gifs on the same servers. 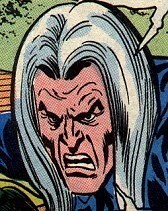 The reality check part of my brain is tingling, whispering something about nostalgia and revisionist history, but I’m ignoring that particular set of voices at the moment. We can do this. Again. Still. Also, I realize there is an insane amount of privilege that needs to be unpacked from my description of the early days. It was restricted to those who were worthy due to being able to be at a post-secondary institution, etc… The modern corporate internet is more readily accessible by everyone, so it’s definitely better in that sense. But I’m still not comfortable with delegation of real innovation to corporations who are mandated with leveraging us for profit. That’s diametrically opposed to the culture of the early days – and something we need to try to restore on some level. I think the sense of a moment before a few ISPs were fighting for control over access at exorbitant rates is actually a useful exercise 🙂 I think the rise of the commerical web with its limits and possibilities makes a lot of sense, I think what is a bit mind boggling is how far removed universities have become from their part in the web. You are gonna like my follow-up to this post which is all about web space. What’s more, I would love everything and anything you could share about this time in university web space. It’s amazing to see how higher ed. went from the leading contributor of the internet and web technologies to the back burner of the corporate world. You would have thought by now that higher ed. would have led to some form higher and better form of education than MOOCs. You are also right how university websites have become just basic online brochures. How do we push university’s and those in higher education to go above and beyond marketing their school? 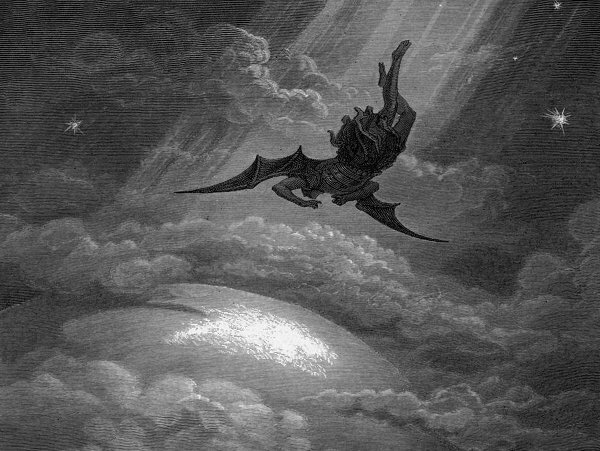 When and how will universities move back to creation and the read/write culture? Well, the work you are doing with McClurken, the itnernet course, and I’m sure many others. I wish more people would consider the implications of reverting to a mindset of gatekeepers and controlled spaces n the web. Anil Dash’s “The Web We Lost” is an interesting take on this evolutiuon, I recommend it. Although, to focus for a moment on a bright side to all this, more than 600 folks at UMW (faculty and students alike) are reclaiming their own bit of the web for their academic identity, and I think that is a good start, at least for our culture at UMW. Devils advocate time – MOOCs as procedural / topological innovation, Internet as hardware / topological innovation. Software innovation as what ed tech does badly? Uni’s weakness as almost a poor white blood cell count waiting for infection – say from xMOOC ideas. So innovation could be the vaccine to help? I wonder if part of the problem is the increasing pace of change, as well as the foreign-ness of some of the new things. University leadership looks to solutioneered instant innovations, which seem magical and uncomprehensible, so this stuff is basically outsourced. I was in a meeting with associate deans in one of our large faculties yesterday. One prof was reminiscing about when electric typewriters were seen as a radical change in educational technology, and instructors pushed back against such a foul intrusion. Multiply that by a few dozen orders of magnitude over the decades since. It’s a lot for people to deal with. I think there is some room for that, but we are twenty years into this revolution, and the web is still an organizational afterthought when it comes to much of what we do. It could be argued the university was far more cutting edge in this regard when the web first broke, from 94-96. Not unlike cutting edge web services like Geocities, universities offered students and faculty web space, email, storage, and more. They were providing the possibilities for those who wanted them. It could be argued the solutioneered, instant innovation-in-a-box IT just got off the truck makes that much harder. It’s a more varied landscape for sure, but how can they not be thinking about rethinking infrastructure that starts to tap into data streams where they can visualize and aggregate the various spaces people share to start re-thinking IT from the ground up? Isn’t that what we’ve been doing, and we don’t have 60 employees, millions of dollars in budget, etc. The approach to IT and the web at universities is simply running the trains on time. As for the difficulty and resistance, I would argue for too many institutions the default (and often only) solution is so difficult it warrants such a reaction. If you’re part of a shop offering Sharepoint for blogging, no matter how you spin it, you’re screwed 🙂 I don’t think folks at universities have engaged the web as a generative force that when harnessed would augment the existing possibilities. And to get back to my question, how could those who helped build and popularize it not see it clearly as it was coming of age during Web 2.0? That’s when HE closed ranks and shutdown any possibilities for its success on campus. Part of the problem is that things were expected to scale. Once you need to provide stuff to 10,000, 30,000, 100,000 people and have to reduce the cost to support them? That looks like an LMS. One thing I’ve been thinking about is the way institutions say they need “google for education” or “Facebook for education” or “ning for education” etc… What if we just used the internet, which scales to a billion people, rather than having to reinvent systems tailored for education? This is why UMWDomains is so cool – using the internet in an educational context, rather than building an education internet. I’m hopeful now that I will be able to push a Domains project at my campus – using the tools that make the internet awesome at any scale. using the internet in an educational context rathing that building an eduation internet. Very well said, I think that’s the key. The idea as if education was somehow its own web rather than part of it. And all those attempt at remaking the web for education often led to less and less of the stuff we were doing getting discovered. It always struck me how few solid education sites hosted at or provided by universities come up when searching for stuff. A huge, missed opportunity for using the internet in an educational context. Thanks for helping me think through all this D’Arcy, I know it is rough and unpolished, but there is a lot to this history, and you and Alan have lived through it all as edtechs, so your insights here are invaluable to me. I think you’ll really like this as a whole and the rant portion in particular. I have deleted a much longer response because most of this doesn’t matter. Just keep doing good things and hope for the best. Your actions will make far more difference than any arguments. that whole transcript is gold, jerry! nicely describes so much of what’s going on. I’m with D’Arcy, that’s an awesome presentation and very helpful for historicizing what we are going through right now culturally. I’m gonna steal from that, it has some moments we can incorporate inot Non-Programmistan. Exactly – this has been my point for a while (and many others for that matter) – we already have a LMS in the browser. The web is our PLN (even though we can carve out corners that we like to visit the most). We may lack a few pieces here and there to make it completely work, but that is just a matter of coming up with some more APIs, browser plug-ins, and maybe a few improved html tag/attributes. But the web has always been the greatest MOOC in history (as long as you don’t get too hung up on traditional definitions of “course”). DooO is really turning the MOOC narrative inside out, by saying “okay, the content, connections, technology, etc is already here for learning… we just have to get it all working the right direction and forget about all of this sticking in a box and selling it it BS.” Most corporations have it backwards. When you put it in a box and sell it, you neuter it from being all that it can be. Was edtech bad? Or was the fact it was synonymous with the LMS the problem. If the shop sells bad in bulk you’re not likely to go looking for the gems elsewhere. I think re Darcy’a comments that Universities haven’t found an Internet voice. Maybe MIT has, and your work at UMW shows it – but bar distance learning is there a uni with a really distinct Internet presence? Maybe a slightly funny twitter, or blogs for all staff with a freshly squeezed style aggregator. Or a uni with a meme. Basically a uni which gets it. But I think the risk is too much. Why did MOOCs take off – no risk in numbers. I think edtech was far more experimental in the mid-90s before it had to scale, as D’Arcy noted. The LMS, to be fair, helped it scale, but it also seemed to eliminate any impulse to experiment beyond that, something I think we are paying for now. As for a university with an internet presence, that’s a really good point and an interesting one to think about. What would it mean for a campus to have an internet presence beyond the idea of an informational website? I wanna think about this because I think it’s really interesting. Can you think of a University that gets it in the UK? Does Open University get it? Does Lincoln get it? What might that mean? For me it seems akin to defining the curriculum more generally around web literacy and computational thinking—and it’s hard to imagine one. I see the LMS as one of those wasps which lays its eggs in you and then eats you out from the inside. Sure, you look like an ed tech department, but deep down your just dinner. 4) An API – or some queryable data (pref open) – say I want to say what is the pass rate for these modules, what is gender, race, ethnicity backgrounds? I think basically, a Uni which gets that the virtual is equal to the physical. We talk about scale as a bad thing. But, once things go past an early pilot stage, scale is as much about social justice as it is about the enterprise. If something is important, it needs to be made available to all members of a community. That often involves compromises that start to shift things into resembling an LMS. (which is where Norman’s Law of eLearning Convergence comes in). Scale is fetishised though – it can be a bad thing if done purely to drive down cost. Accessible but a lesser product isn’t scale, it’s minimalism-meets-snake oil. To paraphrase Marie Antoinette, where is the social justice in eating cake? It seems to me that scale in terms of tech and in terms of people tends to veer towards the idea of dependence. I realize it’s tricky in a variety of ways but at its core it always seems to come down to the value seen by the user (be they an instructor or student). If the focus is on making this stuff matter then energy and time and abilities and interests seem to magically appear. Otherwise, you can make the tech chimp-simple and have an army of support personnel but it never really matters. Virtually everything in our current scale systems is the opposite of that. Our solutions often seem to fix false problems or problems that are institutionally constructed— It never really was about figuring out what button to push. You get a certain kind of assessment and interaction in classes of 200 students. If the whole structure is built around dependence on top down delivery of instruction then expect echoes of that dependence to drown out lots of interesting things. For what it’s worth, I tried not to write this. Did someone go down the road of scale in my comment thread? DAMMIT ALL!